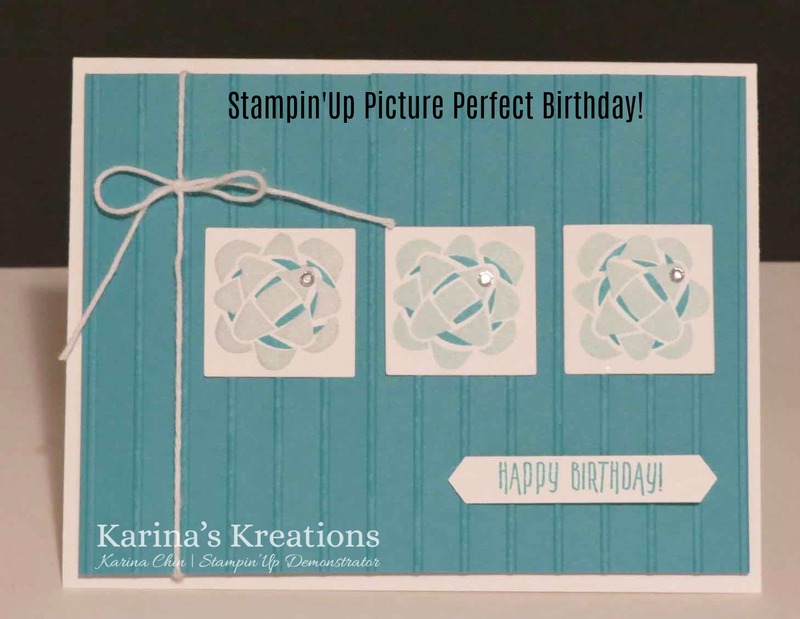 Karina's Kreations: Picture Perfect Birthday! 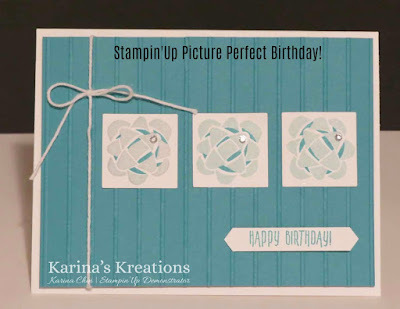 I have a sneak peek to share with you today using the new Picture Perfect stamp set #145519 available Jan 2. This is a simple and easy card that you can make multiples of. It's pretty cute! What do you think of the back ground? It's the new Simple StripesTextured Impressions embossing folder. If you can't wait until Jan 2 to get your hand on new products, pick up the starter kit and join my stamping community. The cost is $135.00 and you get $165.00 in product. No shipping or GST is charged on this first order.